Seven-time Spur Award winner Elmer Kelton is a brilliant chronicler of the Wild West. 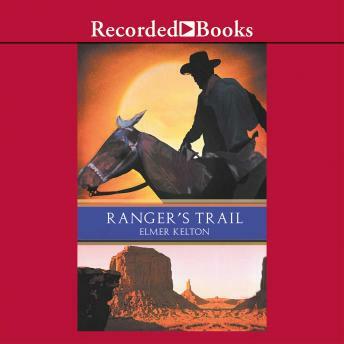 Ranger's Trail takes listeners back to 1874 for a rousing tale of the legendary Texas Rangers. The Rangers are reorganizing, and they badly want Rusty Shannon to re-enlist. But Rusty has plans for a quiet, married life. Then a terrible tragedy destroys his world, and sends him down the treacherous trail of revenge.